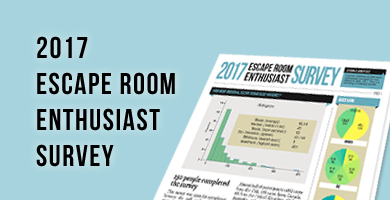 Someone once posted they were shocked how people could have such vast differences of opinion with escape rooms. There are a number of reasons that plague reviewers of other mediums, for example, personal preference, but escape rooms are a different beast. 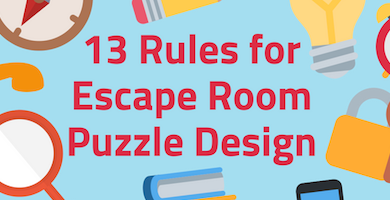 Unlike a movie, a book, or even a video game, an escape room will change over time. If I were to read Lord of the Rings now, it will be the same a year from now (barring undiscovered edits and reprints…don’t get all pedantic on me). This isn’t the case for an Escape Room. Owners may tinker with the escape room to make a better experience. They may tighten up puzzles, improve flow, add or remove difficulty. The escape room is being designed iteratively in an attempt to improve gameplay. Owners may do NOTHING to the escape room. Ravaged by players and entropy, the room will become a haven of worn locks, broken props, and tattered decor. No matter how unbiased people claim to be, there will always be a vast difference between a player’s first experience and their current experience. Given the novelty of escape rooms, the first time a player encounters an escape room is a game changer. Black lights are amazing and stumbling around in the dark with a malfunctioning lantern is exhilarating. The most common problem a reviewer will encounter is an ever sliding scale: you think you will never find a room that could be worse or better, but then you do. Now what do you do? Go back and alter your other reviews? Not a fun place to be. 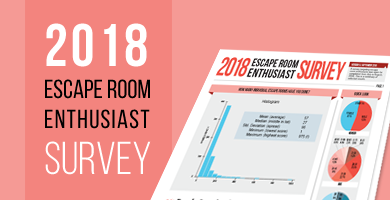 Your experience gained from doing many escape rooms. The number of escape rooms you have done in a day (When puzzle fatigue sets in, a simple puzzle can become a herculean, rage-inducing exercise in tedium). The number of people you are with (the room flow can change significantly depending on players). Who those people are (if your team is awesome, you will have an awesome time. If people are awful, you will have an awful time). Whether you won or lost (People like to say this doesn’t matter, but I think it does. If you win a bad room, you are annoyed. If you lose a bad room, you want to punch things in the face). Again, unlike a sports game, having an off day means you will do better in the next game. Not so in an escape room which can only be done once. You may not see all of the room because other players worked on a puzzle. The industry changes. Escape rooms may branch to focus on different things: set, decor, immersion, etc. However, as the industry advances, the tech will become dated and noticeable. This was brought up a number of times throughout the article: a room owner has one chance to impress the customer. If the room was broken somehow, a player can’t redo and experience it the way it was meant to be. Honestly, my hat goes off to both escape room owners and reviewers! Owners are under a lot of pressure to get it right all the time, and reviewers have to assess a room knowing the above biases are in place. I generally agree. Although I think that there’s just as much variation in movie (and other media) reviews. People have different tastes, and that’s a good thing. This is yet another reason why Lisa and I write a detailed “Should I play?” section as opposed to giving a score. We want to give our readers a sense of what they should expect and let them decide if the room is or isn’t for them. Totally agree Errol. It’s two factor analysis where one axis the ‘intrinsic quality’ of the room VS the second axis which is the three variables you mentioned. Some rooms are better than others. I’ve found the biggest variable is the person’s own expectations. For example, one person might naturally see all the best things but someone else is actively seeking out the problems. Great article. This is a frequent topic of discussion between me and the rest of my usual crew. We’ve had several occurrences in the past when we would go and try an escape room that was highly recommended by other Escapists but which would not convince us in the slightest, for the same reasons as explained in this article. This also depends on people’s focus and interests towards escape rooms. Someone looking primarily for immersion will love Amsterdam Catacombs and dislike The Secret Lab in Locked In Edinburgh while someone mostly interested in puzzles might feel the complete opposite.